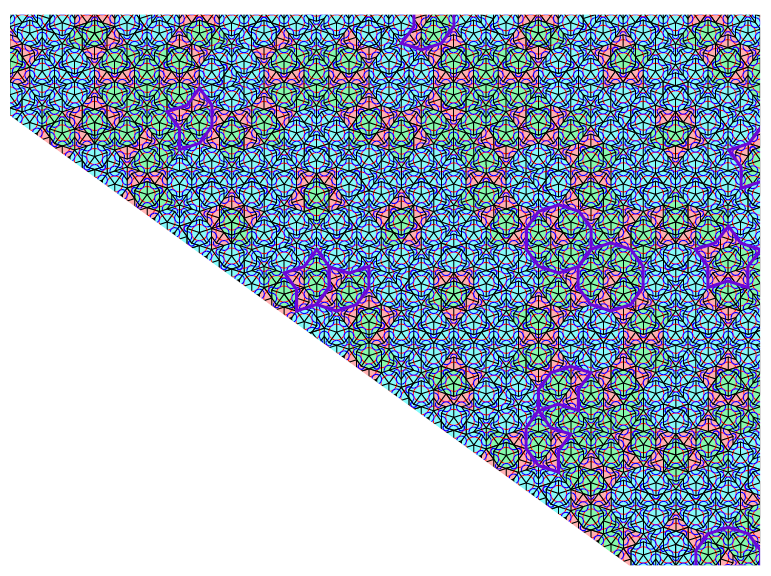 Applying the Penrose filling of decagon and bowtie to the Darb-i-Imam shrine, we see the result below. 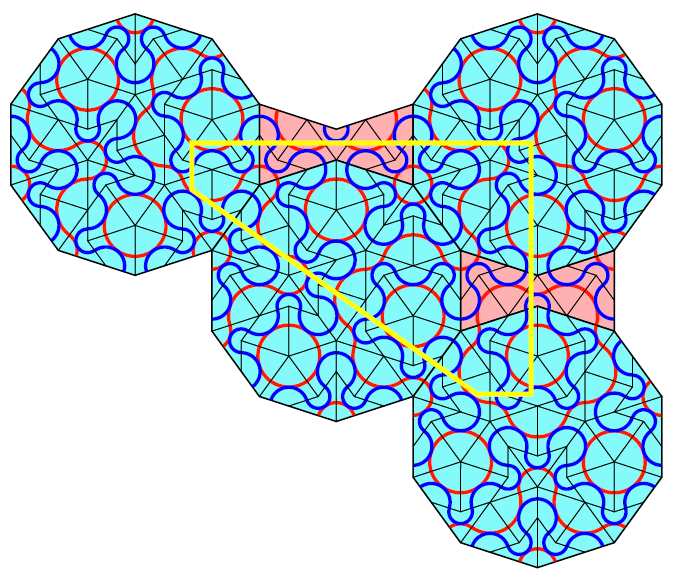 The lining of the tesselation is marked in yellow. Below we see the result when applying the Penrose filling to the smaller forms. In the whole pattern of 3700 forms Peter Lu counted just 11 errors that can be repaired by changing bowtie and hexagons and this still is an impressive similarity.